Wahee-gama is located in Akita, the Tohoku district in Japan. We have made Shiraiwa-yaki ware for forty years. Shiraiwa-yaki was made since the end of 18th century.Though Shiraiwa-yaki ware ceased at one time for various reasons, we at Wahee-gama have succesfully revived this classic pottery from. Shiraiwa-yaki ware is characterized by a brown clay with blue gradation glaze, called Namako-yu. 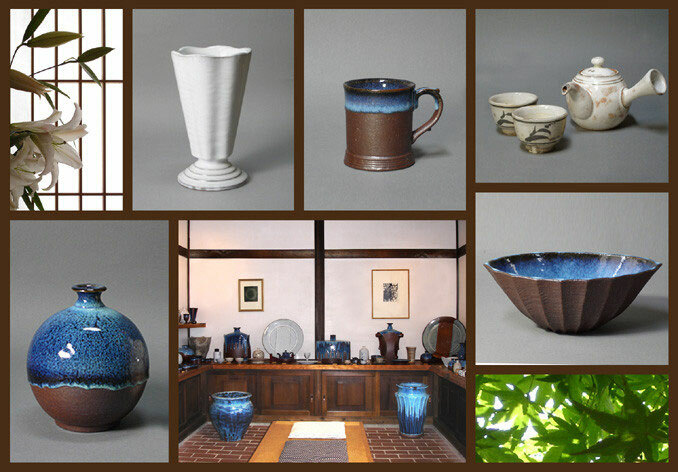 At Wahee-gama we continously endeavor to match traditional pottery with modern life styles.